In case you missed it, the Internet near-exploded this week over a single tweet—showing Panera bagels sliced like bread. 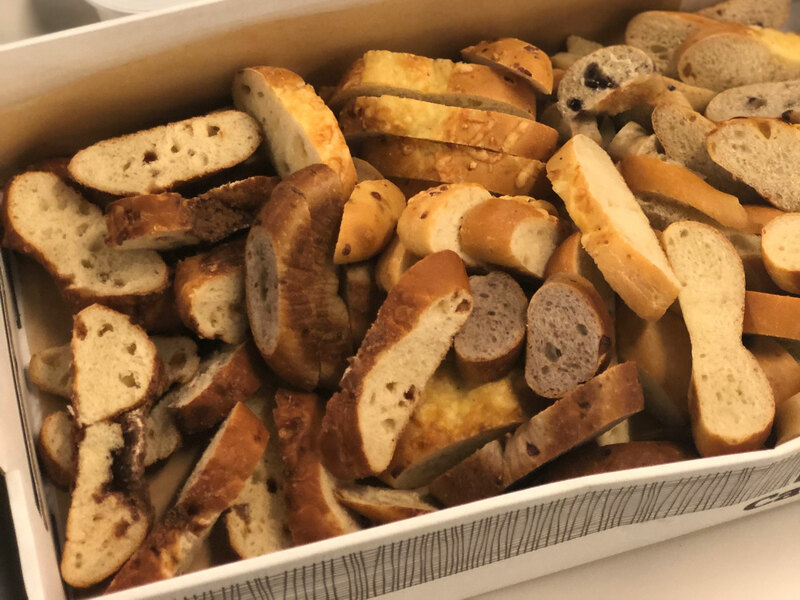 A user snapped a picture from his office, saying that he introduced his coworkers to “the St. Louis secret of ordering bagels bread sliced. It was a hit!” Regardless of whether or not it was a hit in the office, the Twitterverse had a lot of feelings, even going so far as to poke fun at the idea of “St. Louis style” food by posting weird combinations like Oreos and salsa, and hot dogs topped with Hershey’s syrup. But it made us wonder—was Alek Krautmann on to something? There were some mixed bag reactions too—I, personally, was middle ground, neither disliking the bagel-baguette hybrid nor feeling like it was a life-changing revelation. (After all, it was basically a slice of bread. There’s nothing wrong with bread!). A fellow editor did point out, however, that while they didn’t have a problem with the slicing technique itself, the results would have been much better if they were toasted. If you have burning bagel thoughts of your own, you can head to Panera’s Twitter account, where there's a thread asking customers how they prefer to slice their bagels. A few St. Louis residents got in the mix, with some saying it was common, and others arguing that they’d never heard of this “secret”—check out the rest of the thread here.